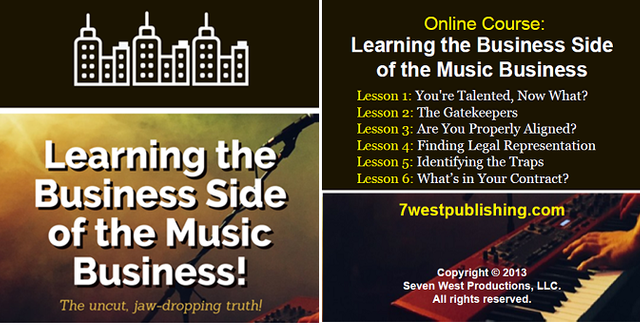 Millions of aspiring artist, seek to become the next star but they have no idea of how to survive the business. No one will admit that copyrights are worthless and that well-connected individuals use influence and money to dominate and to steal lives. We prepare and fully equip our consumers regarding the tactics and methods used considered 'standard' practice by most professionals. From the Gatekeepers, to contract and to the courts, we address every aspect of doing business and how to survive it. Unfortunately, we live in a world where greed, racism and sexism rules so not even your education or 'who you know' will be able to shield you from the goals any billion-dollar industry. Those rights that you believe that you have and are counting own having are simply non-existent when you are dealing with Big Business. Your copyrights are useless because the courts that are supposed to enforce the laws will bend to the will of the rich and powerful. ​Let's work together to prevent shattered dreams so that others will have a better chance at having successful careers when they are given the tools necessary to survive the 'business! By offering these opportunities we believe each organization will help prevent future harm; thus, greatly improving others chances at success. By utilizing this program, we are able to provide supporting documentation which demonstrate how to avoid the tactics and methods. 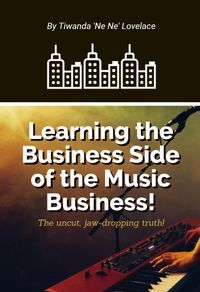 Although the music business was the tool used, this book is not just for aspiring artists and songwriters but is also beneficial for those who are interested in learning how the world that you live in actually operates. These publications allow the only opportunity to learn from others experiences in a world where greed, racism and sexism rules. 1. It's not just a simple matter of another artist taking credit or a simple issue of copyright infringements. 2. The initial lawyer will encourage signing a standard contract with low figures. They may not tell you that when the deal sours or goes bad, that you will need tens of thousands for a legal retainer. 3. 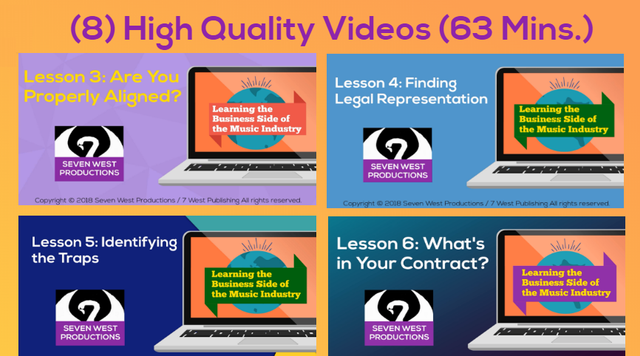 They will not tell you about the major issues with 'conflict of interest between entertainment attorneys within the music industry. Being that Music is affects so many lives and that it is in everything from politics to religion, we should all make music our business to prevent these unethical practices from continuing to destroy lives! Learn about how every resource and outlet is used in an effort to initiate hardship on those who insist on exercising their rights. Learn the entire process which demonstrates egregious intent to influence a sense of hopelessness. Learn how big business is allowed to operate with impunity by a corrupt system. I only wish that I had someone to provide a portion of the information found in these titles regarding the tactics and methods used to hinder. For more, read: BIO! PUBLISHER APPROVED SITES FOR DIGITAL DOWNLOADS! Bonuses, Updated, Full Versions…ONLY Available Direct from Publisher, SWP @ Approved Outlets shown below: Download Books on Google Play! 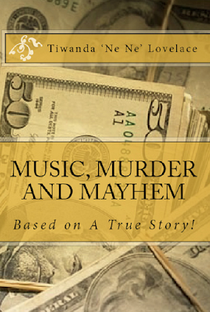 MUSIC, MURDER AND MAYHEM - A TRUE STORY! Download Books on Google Play! Please consider that the information on these blogs, websites and titles are in direct conflict with multiple entities and groups. I have provided a multitude of supporting documentation which clearly shows opposition. I do not know what you receive on your end but if you are receiving copies with poor grammar and poor punctuation…there is a good chance that you are not receiving genuine publisher approved final copies. Start Shopping Our Secure Shop! Thank you for visiting 7 West Publishing! We hope you are able to find what you are looking for! Well-informed individuals make better decisions! 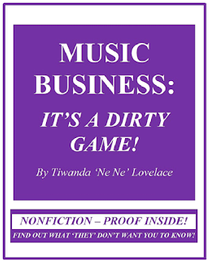 An un-cut non-fiction description of how the music entertainment business murders its artist and writers quietly behind the scenes. People usually assume that artist just sign bad deals that allow producers/managers to take everything but this is not always the case. It is important that people understand the ‘game’ and how it ultimately affects others. This book demonstrates how some individuals are deliberately oppressed and denied rights by those that are in positions to manipulate the courts to ensure injustice continues. 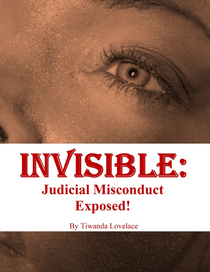 This title discusses judicial misconduct and ‘obstruction of justice’ and deprivation of rights at the hands of the courts and its clerks. Tile includes actual physical evidence and proof of deliberate deprivation through courts and its clerks tampering, editing, withholding, modifying filings and disregarding its own court’s rules and procedures. Review actual proof of these allegations and more! 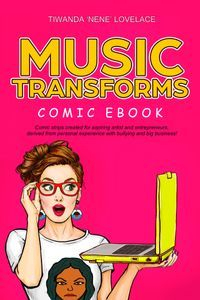 This comic book provides detailed, valuable information for aspiring songwriters and others without having to read 300 pages. 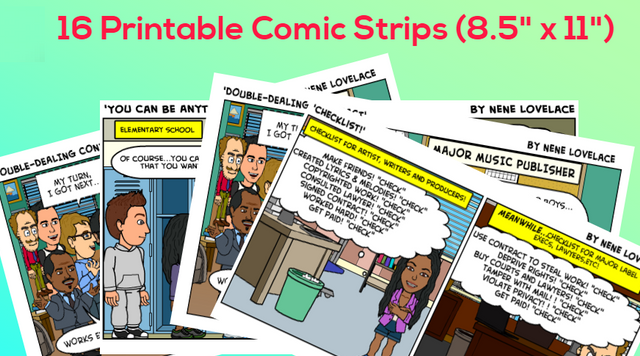 This comic book depicts the many tactics and methods used against the aspiring artist and writer. We educate and entertain by using humor; however, the topics covered are true and very serious. 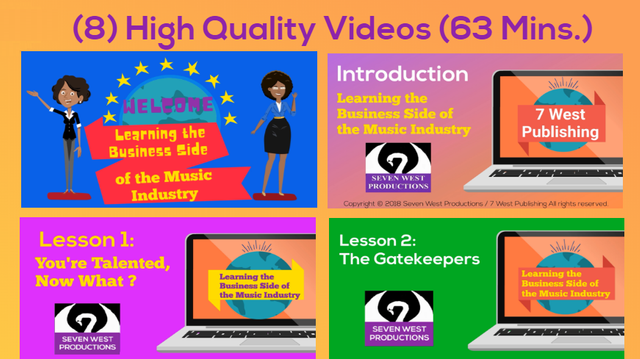 SWP, LLC is a publishing and production company that is dedicated to educating our youth. This title provides a simplified step-by-step basic guide for aspiring entrepreneurs on preparing to start a career or enter the business world. The information provided in this eBook can be applied to most major industries. This title provides insight on how to mentally prepare for challenging career in any industry. Learn from others direct experience with big business on how to avoid traps and overcome obstacles in conducting business.